Amazon.com's (NASDAQ: AMZN) ongoing foray into the physical world shows no signs of slowing down. The Whole Foods acquisition was clearly the biggest move thus far, but the e-commerce behemoth is now reportedly considering getting into the movie theater business. 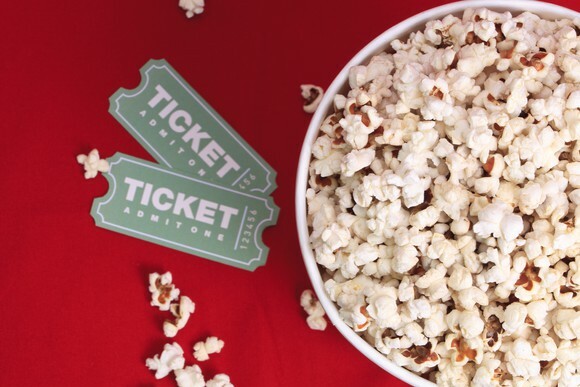 That age-old business does seem ripe for disruption in some ways, and companies like Helios and Matheson Analytics' (NASDAQ: HMNY) majority-owned MoviePass are trying their darnedest to shake things up. But MoviePass is failing spectacularly, hemorrhaging cash and losing approximately $35 on each of its 3 million members in the second quarter. What might Amazon have in mind? Bloomberg reports that Amazon is among several suitors that are considering acquiring Landmark Theatres, a movie theater chain that specializes in showing foreign and independent films. Landmark is owned in part by billionaire Mark Cuban. 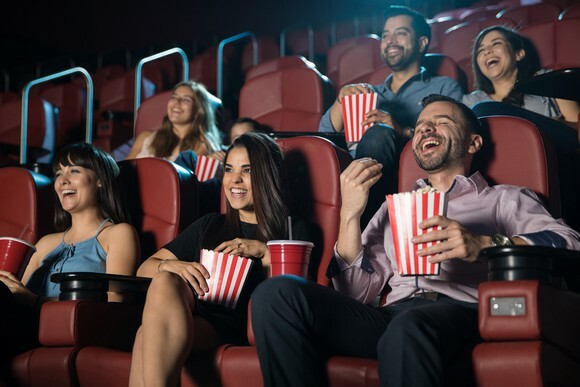 With a little more than 50 locations, Landmark is much smaller than AMC (NYSE: AMC), Regal (which was recently acquired by Cineworld), and Cinemark (NYSE: CNK), the three largest domestic movie chains. MoviePass also added Landmark to its service earlier this year. The "Amazon Effect" took hold in early trading, with shares of AMC and Cinemark falling on the report before quickly recovering. The potential acquisition would give Amazon broader distribution for its growing portfolio of original content, which currently is primarily streamed through Amazon Prime Video. Like rival Netflix -- which is also rumored to be interested in Landmark -- Amazon Studios has been pushing deeper and deeper into original content in an effort to differentiate Amazon's over-the-top (OTT) streaming service. The report also notes that movie studios are currently prohibited from owning theaters, but regulators are considering eliminating that rule, which dates back to the 1940s. Any acquisition could hinge on that regulatory outcome. If you look at why MoviePass continues to flounder, the basic economics are simple -- and horrendous. MoviePass buys the tickets for full price from theater chains, and only recoups $10 per month in subscription fees (before factoring in the ever-changing fine print like surge pricing). AMC CEO Adam Aron said in May that MoviePass paid AMC an average of $12.02 per ticket in the second quarter, with MoviePass members seeing an average of 2.75 movies in April. MoviePass has already garnered many enemies in the theater industry, risking commoditization while diminishing the value perception of the movie-going experience. The start-up has tried to partner with chains to get a cut of ticket sales in an effort to reduce its costs, as well as trying to get a piece of concession sales. That's worked with some smaller chains, but the big chains have unequivocally shut down that possibility. "AMC has absolutely no intention -- I repeat, no intention -- of sharing any -- I repeat, any -- of our admissions revenue or our concessions revenue with MoviePass," Aron said on the January earnings call. With a current market cap of less than $300,000, Helios and Matheson is little more than a thorn in the side of the big chains, but Amazon is a heavyweight you don't want stepping in your arena. Vertical integration can be an incredibly potent strategy, particularly for a company that has long shown a unique willingness to absorb losses and sacrifice profits in order to dominate industries. Amazon CEO Jeff Bezos once famously said, "Your margin is my opportunity." Even before you consider any cost savings associated with vertical integration, those popcorn margins alone suggest that Amazon has quite a bit of opportunity. We also know from the Whole Foods acquisition that Amazon does want to integrate its physical retail aspirations into its wildly popular Prime subscription, as Prime members enjoy benefits and discounts when they shop at Whole Foods. It's not hard to imagine Amazon offering a comparable set of perks at the movies for Prime members, such as heavily discounted ticket prices and affordable concessions. If Amazon were to acquire Landmark, or any other theater chain, it wouldn't face any of the fundamental tensions that MoviePass currently faces within its value chain, as Amazon would own that part of the value chain. Being a loss leader doesn't work if you're a tiny company that's running out of money, like MoviePass. Being a loss leader can be incredibly disruptive if you're one of the most powerful and influential tech giants on Earth, like Amazon. John Mackey, CEO of Whole Foods Market, an Amazon subsidiary, is a member of The Motley Fool's board of directors. Evan Niu, CFA owns shares of NFLX. The Motley Fool owns shares of and recommends Amazon and NFLX. The Motley Fool has a disclosure policy.